I have actually reviewed the Japanese edition last year. 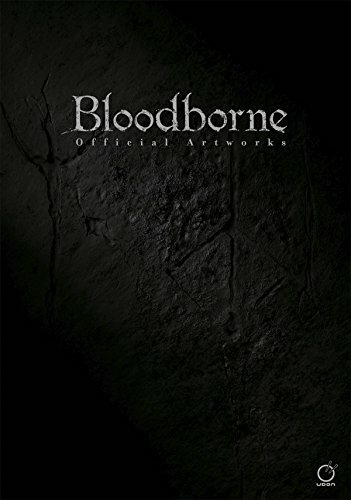 There's actually not a lot of text in this artbook so you can either get the Japanese edition or the English edition (published by Udon Entertainment) whichever is easier for you to find. When I first saw the book, I could not remember that I've reviewed it before. When I look back at the review for the Japanese edition, I could understand why. The art is good but I would not describe it as truly distinct or very memorable. If you're fan of the game, this 256-page softcover artbook packs a lot of concept art for you to peruse. The design and mood is inspired by the Gothic Victorian era. You'll see that influence in the architecture and environment. The overall atmosphere is bleak and scary. This is a place constantly shrouded by mysterious clouds so thick they block out any trace of the sun. The creatures or enemies are straight out of, well, I wanted to say movies initially but you can only see nightmarish designs like this in video games. Since the game is so dark, both figuratively and literally speaking, the concept art uses a lot of shadows and sometimes details are obscured by shadows and dark areas. But overall, you can still see a good amount of details in the concept paintings. It's a good book that I think should appeal mostly to the fans.